With over 29 years experience in the construction industry and as Director of the company I pride myself on every aspect of our work. Reputation has been the key to the success of Solid Building and with our competitive pricing and our clear and concise estimates that include breakdowns of materials, labour and timed schedules you can rest assured that there are no hidden extras. 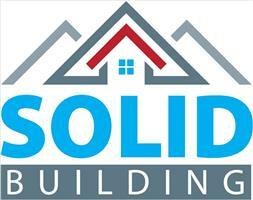 At Solid Building we can offer advice and solutions for your project and we will work with you to achieve the perfect end result. From extensions and alterations to conversions our aim is to provide an unrivalled service that is second to none.